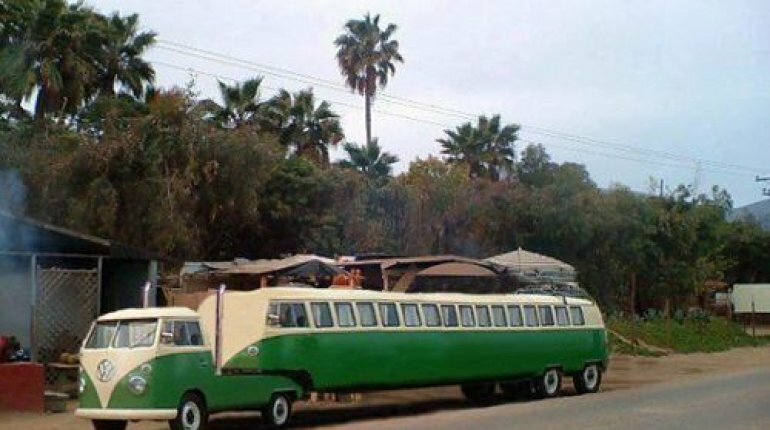 When it comes to RVs, people’s ingenuity seems to know no bounds. What can we say for ourselves as a society? 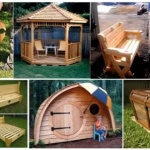 We are passionate about our recreation. 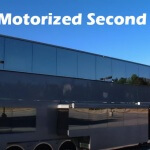 We will go to great lengths to create vehicles that suit those recreational needs. And sometimes we will take that to extraordinary (read: insane) places. 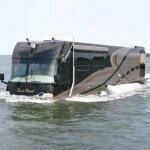 With that spirit of ingenuity and passion in mind, we put together the following list of the ten most extraordinary RVs we have ever seen. In making this list we spared no category. You’ll see RVs that range from the hilarious, to the futuristic and sleek, down-right strange, then back again to hilarious for good measure. 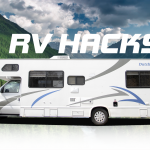 Enjoy, and don’t forget to leave us a comment of your favorite RV and share this list with you friends on facebook! This custom chop-job of a few Mercedes (Mercedi?) and an impala done by an industrious German fellow is really a thing to behold. It’s been on at least 7 TV shows, a myriad of local papers, and even found itself on the Discovery channel. 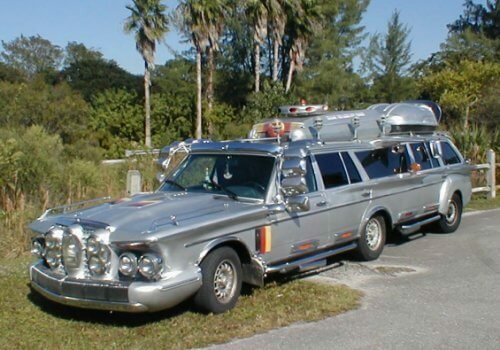 “Made from two -83 MB wagons and from Chrysler Imperial. It is fully loaded limo including a little cocktail bar. Unfortunately there is not a lot of information or interior pictures floating around of this thing but I think I have an idea: You can smell the smoke (from the car and the person driving it) from blocks away. Around the same time you smell the smoke you can hear the Buddy Holly blasting from the speakers. A curmudgeonly-looking old man steps out in blue jeans, white T (cigarettes rolled up in one sleeve). You walk over and tell him his 5th-wheel is amazing. He shows you around. You could talk to this guy about cars and 5th-wheels for hours. Because he’s awesome. 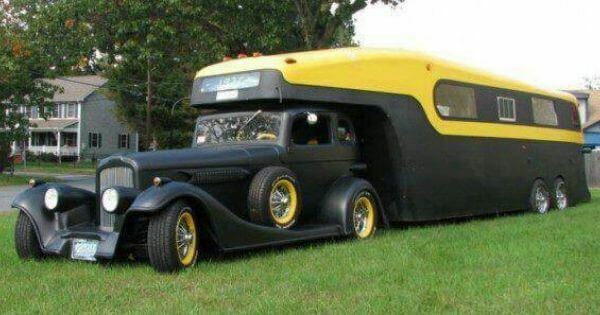 And his RV is awesome. 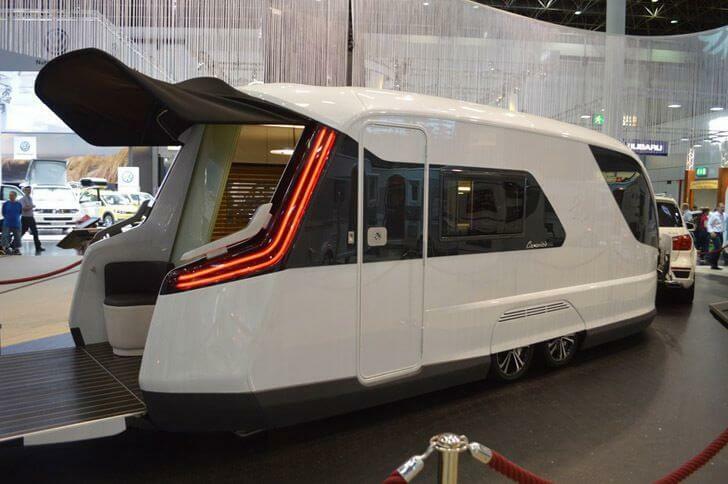 There are a lot of concept expedition RVs out there that are amazing. They have incredible features, beautiful interiors, and they’re built to be tough and withstand all the adventure you can throw at them. The only difference between those concept vehicles and the Earthroamer…is that the Earthroamer is real and you can buy one today. You know, if you have $500,000. 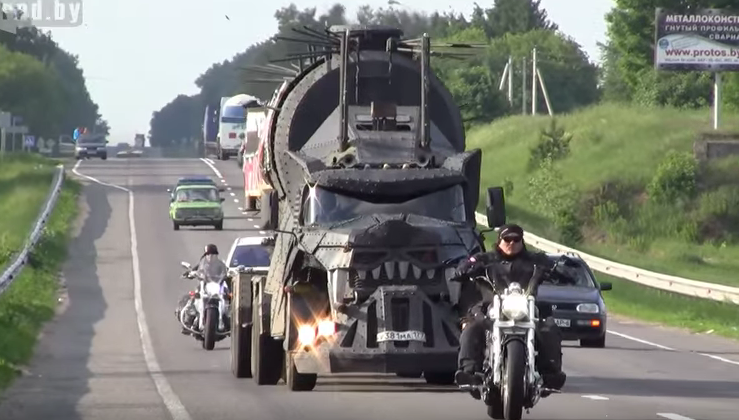 Watch the video above, it’s an incredible vehicle. What is there to even say? The beauty of this contraption is that you cannot look away. We want to meet the person responsible for this. 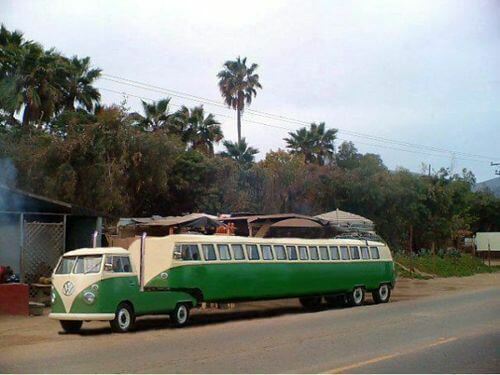 We couldn’t find a thing about this vehicle online which leads us to believe this was just a snapshot someone took while on vacation that they later posted to pinterest. Que America’s Most Wanted theme music: If you or anyone you know has any more information about this vehicle, please alert us in the comments section or on Facebook. We sure would be careful about having open flames of any kind (tell your wife: no scented candles!) in this 1939 Ford Forestry Truck. But she’s beautiful, isn’t she? Nothing beats a weekend in a log cabin except being able to take that cabin with you and change the view whenever you want. 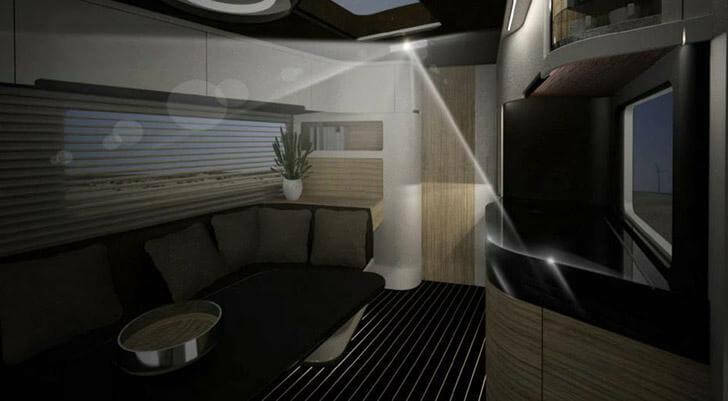 Born in an air tunnel, this RV trailer is a great example of what the future of RVing may look like. 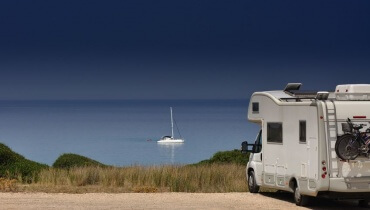 It was conceived by German trailer maker Knaus Tebbert to be as aerodynamic as it is pleasing to the eye. 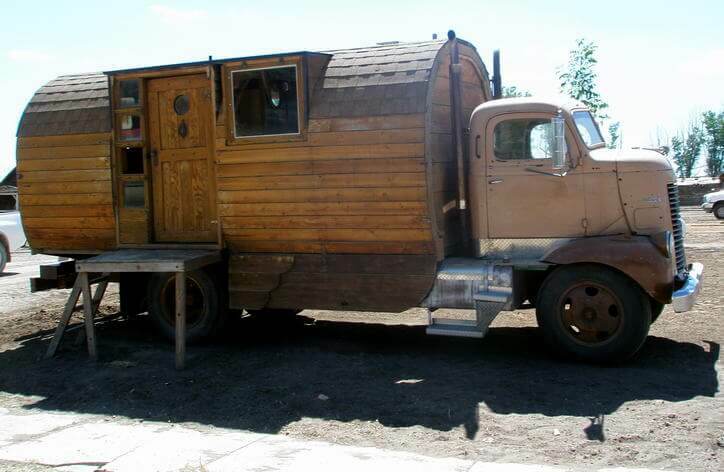 (We’ve actually covered a bit more about this camper here). If this is what the future looks like, count us in! 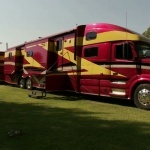 # 4 An Aspen 5th Wheel…For the Kids? We’re not sure if this was made for a child who wanted to pretend to be an adult, or made for an adult who wanted to be a child… pretending to be an adult. 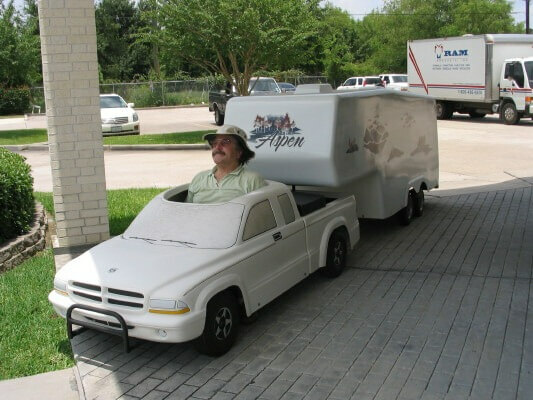 Whatever the case may be we think this is pretty sweet and judging by the man-behind-the-wheel’s face, he does too. If this was, as we suspect, built for a child, all’s the better. It’s important to train them young in the ways of hitching and parking a trailer. 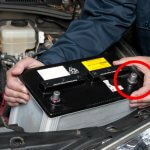 You’ll be glad you did when you’re too old or too tired to do it yourself. This is for the person that lives to ride. 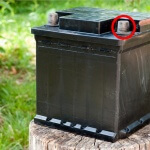 They call everyone they see in a car a “cager”. Their leather is older than you and probably blood stained. And you know what? They need, no, deserve, an RV too. 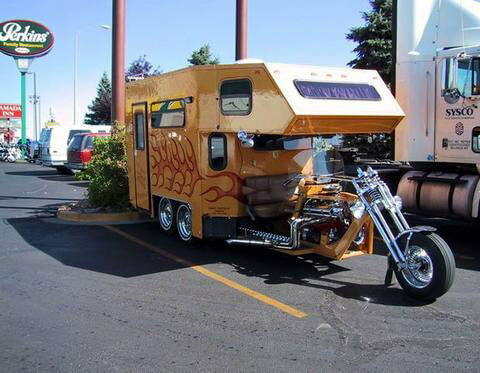 An RV that is suited to their needs of handle bars and loud pipes. Got a problem with that, cager? 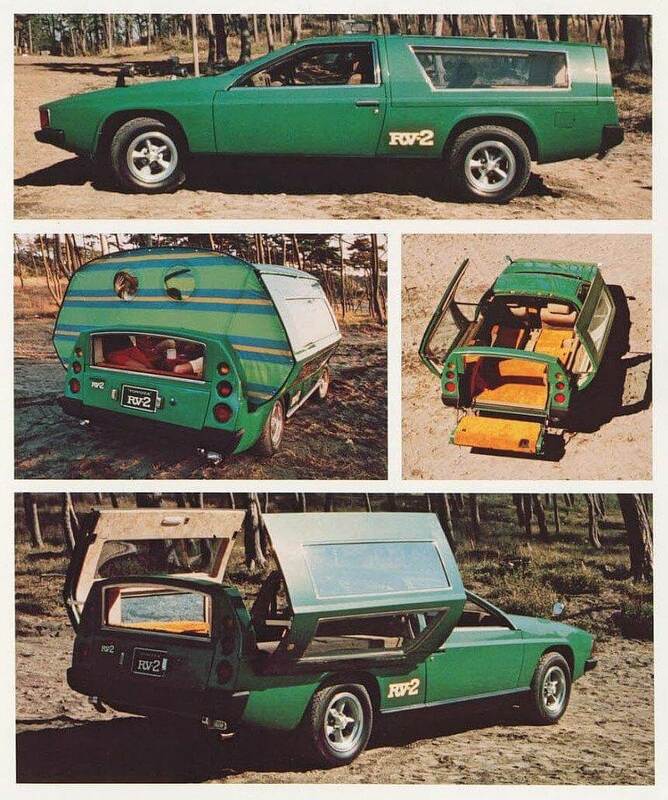 Dreamt up some time in the early ‘70’s– by what we can only assume were Toyota’s crack team of very bored, brilliant minded designers– this concept never saw mass production but when it debuted as an ad in Penthouse magazine (yes, that Penthouse) it was a huge hit. Toyota billed the RV-2 as the getaway car of tomorrow, but it will forever be memorialized as the beautiful pipe-dream of yesterday. Would it sink under its own weight the very moment it left the asphalt? Yes, probably. Is it too expensive to be reasonable for anyone? Yeah. 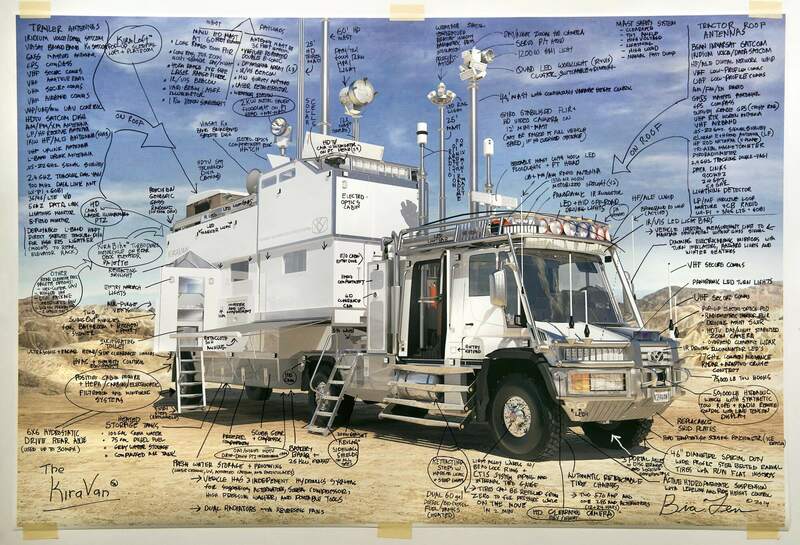 But would any list of the most insane RVs ever be complete without it? No.